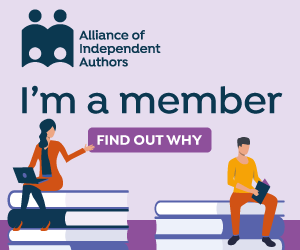 I originally wrote this post for the Alliance of Independent Authors‘ blog, but I hope readers of my own blog will also find it entertaining. I certainly enjoyed writing it! No matter how well authors polish a manuscript before submitting them for professional editing, and regardless of how dazzling their prose, a good editor will always polish it further. In true superhero style, editors and proofreaders daily avert disaster, and I’m glad I’ve secured the services of two brilliant professionals to help me with my books, Alison Jack and Helen Baggott. Here are some typical errors recently shared by authors and editors on ALLi’s private member forum, spotted either in their own books or in books by other writers. If you’re an author, it’s worth keeping all three in mind while you’re writing and self-editing. While an indulgent reader of the third kind might simply smile and move on, it’s also very easy these days for dissastisfied readers to post scathing reviews online, deterring others from buying your books in future. So although this is a light-hearted post, the message is a serious one on the importance of the editor’s role in helping you publish your books to professional standards – or indeed anything else that you happen to be writing for public consumption, including blogs of business reports for work. While ALLi policy precluded me from giving a shout-out in the original post to the professional editorial people that I employ for my own books, I would like to take the opportunity to thank Alison Jack (www.alisonjack-editor.co.uk) and Helen Baggott (www.helenbaggott.co.uk) for regularly saving me from myself when editing and proofreading books for me. I should add that this post has been edited only by me, so any errors it contains are entirely my responsibility – and proof of how dependent I am on the likes of Alison and Helen! 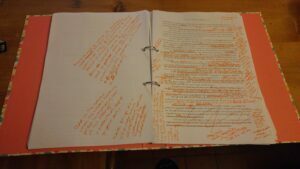 As a debut author I have only recently entered the minefield of proofing and editing. A newspaper journalist by profession, I’m very familiar with the editing process. But editing a novel is something else entirely! I had often heard novelists describe the endless weeks stretching into endless months (and sometimes, years), as they polished, re-polished and polished again their precious manuscript like a diamond. I naively assumed they were perfectionists, or worse, were exaggerating: Pah! How could a book possibly require more than two rounds of proofreading, I thought. And what does an editor do for you that you can’t do for yourself – surely you are your own best editor (I Oh-So-Wrongly surmised). No one knows your work better than you do, so why allow a stranger wielding a red pen to stomp all over your precious prose in metaphorical hobnail boots? Of course I now know better. The manuscript I had thought was a near-final draft was nowhere near ready – as I realised when a brilliant writer friend with a planet-sized brain kindly proofread it for me. My face reddening, I saw the light – many, many more edits were required and not only by myself, for word blindness when dealing with your own work, is a real thing! I still occasionally wake in the wee small hours thinking about the enormous blooper that hid in plain sight in my novel’s all-important final paragraph for SIX WHOLE MONTHS before I spotted it! That such a glaring error could feasibly have made it into my final published book is terrifying. But it’s humbling too, and I now have huge respect for the great editors out there who frequently save our skin, and who you so rightly pay tribute to. I’m new to this game but having experienced the gruelling mental assault course of getting a novel ready for publication, I finally feel I can call myself a writer. For the editing process is a journey all writers share and understand, and one we can support each other with – practically and emotionally – to achieve sparkling results at the end of it. I would just add, recent discoveries lead me to believe there are quite a few bad editors out there too, making a good living from offering their services to wet-behind-the ears indie authors like myself. A glance at these editors’ websites reveals repeated typos and even errors in basic spelling and grammar. Clearly it doesn’t inspire confidence in their proof reading and editing services if they don’t proof their own work properly and/or cannot spell! It seems to me an industry has sprung up to make money from inexperienced, self published authors, a subject perhaps for another discussion, another day. Thankfully there are great editors out there as your piece confirmed, and these people are worth their weight in platinum to writers! I will be seeking out such an editor when I complete the sequel to ‘Reality Rehab’, for I know from bitter experience their input is invaluable and not a luxury but a necessity. Thank you for such an informative and entertaining post Debbie! Another great way of honing your novel prior to publication is to use beta readers – they will make your book so much better. We have articles about that on the ALLi blog, and here’s a link to the latest one: https://selfpublishingadvice.org/writing-richard-bradburn-beta-readers-for-indie-authors/ I love my beta readers with passion!